Oral dental screening for 3,000 Head Start and Early Head Start students begins today. A coalition of partners will be conducting the project statewide. 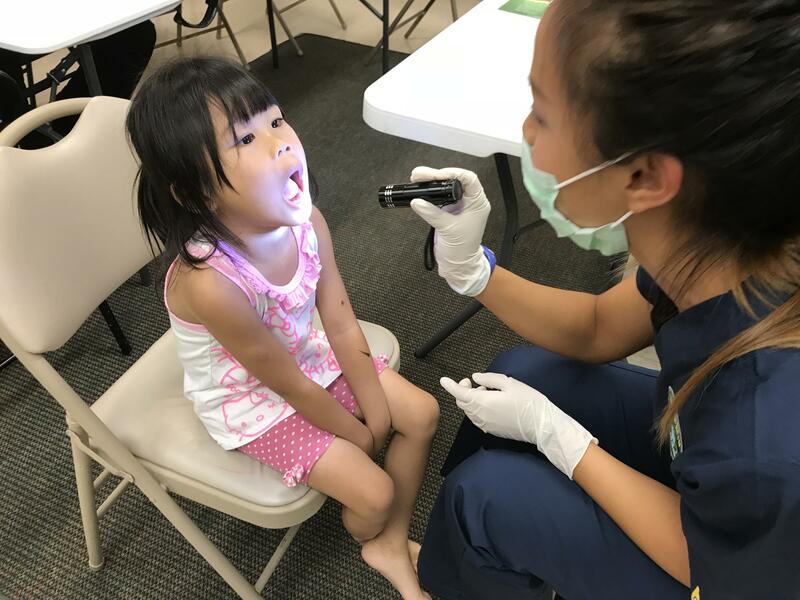 Two years ago, the state Department of Health, Hawai’i Smiles Report, confirmed that 71 percent of 3rd graders had tooth decay, nearly one third were untreated and 7 percent were in need of urgent dental care. Today, a statewide oral health screening project is being launched to build on those findings. Dr. Gavin Uchida is the Health Department’s Dental Director. Dental screening partners (L-R) Dr. Gavin Uchida, Dept of Health dental director; Hawai'i Children's Action Network executive director, Deborah Zysman; U.H. School of Nursing and Dental Hygiene assistant professor, Deborah Mattheus; HDS Foundation director, Shere Saneishi Kim; and first-year pediatric dental resident, Demi Pham. Uchida says the data will used to educate lawmakers and help communities develop prevention strategies. A total of 3-thousand Early Head Start and Head Start students from birth to age 5 will be participating in oral screening statewide. The first location is The Towers at Kuhio Park with 100 students. Demi Pham, a first year pediatric dentistry resident is doing the screening. U-H School of Nursing and Dental Hygiene Assistant Professor, Deborah Mattheus, completes the diagnosis. The Hawai’i Children’s Action Network is coordinating the statewide project. Deborah Zysman is the executive director. 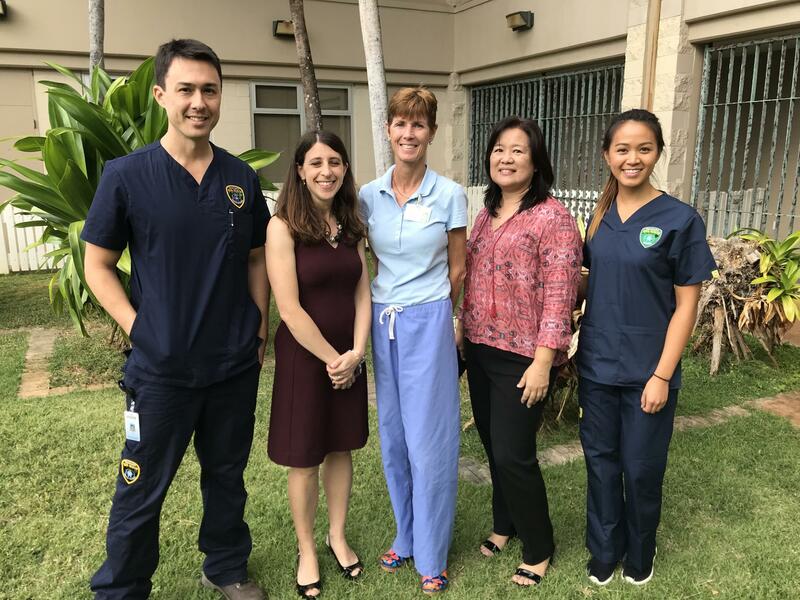 Federal funding from the Centers for Disease Control and Prevention and the Hawai’i Dental Service Foundation will enable the coalition to complete the project. Shere Saneishi Kim is the Foundation director. Meanwhile, State Dental Director Uchida says the 4-month study will provide useful data on dental decay and oral hygiene but it will be limited in terms of offering broad-based solutions.